I admit, I love pink and I have never outgrown my love for Barbie. Sometimes, it happens and I take a crazy dose of pink as recently at the dinner with Harrison Ford at the Tommy Hilfiger store in Zurich. 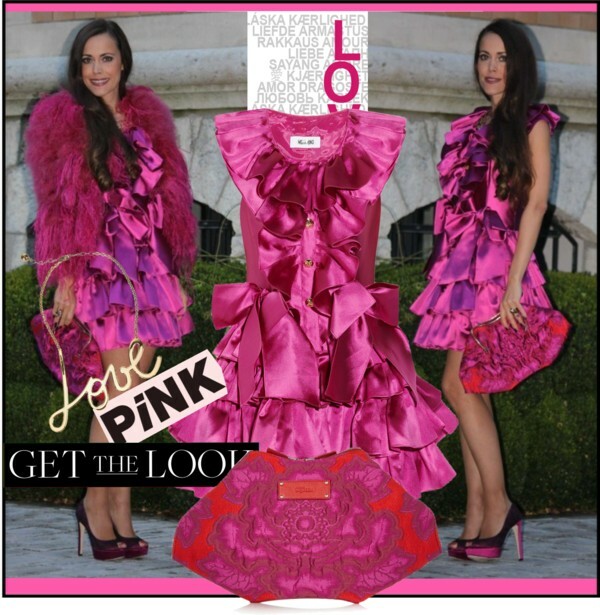 My look: Fuchsia marabou jacket by Emilio Pucci, pink ruffled silk-mikado mini dress by Moschino by Moschino, De Manta brocade clutch by Alexander McQueen, lace pumps and Mitza ring, both by Christian Dior, Twenties stay-up by Wolford and Love gold-tone necklace by Lanvin.